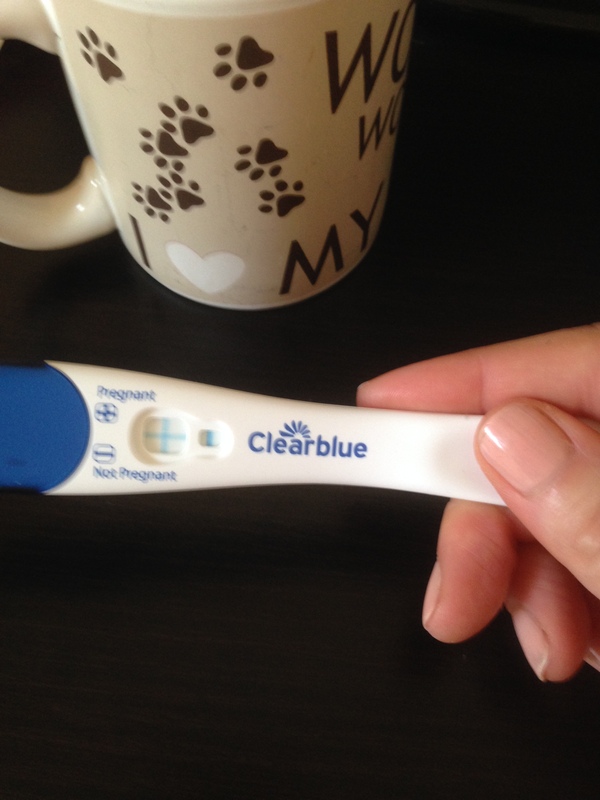 So I unveiled our exciting news last week and this week, I’ll start giving you some weekly updates on the highs and lows of my pregnancy, but for now I’m back tracking to write about the day we found out. I really want this blog to be interesting for everyone who pops over for a read, but I also want it to be like a diary of our life and all the journeys we go on as I think it’s a lovely way to document the exciting times, the normal times that you may otherwise forget and the never to be forgotten times. So, we had been trying for a baby since I stopped training for the London Marathon due to injury in March 2014. When I came off the pill, the nurse said it could take up to a year for my system to get back to normal, but I guess I thought we would conceive quicker. I don’t know why I thought we would be so special, but my sister and my sister-in-law had fallen pretty much straight away, so I guess I thought I would too. I genuinely don’t know how people who have long term fertility problems cope. The disappointment each month when your monthly visitor arrives is crushing even when it’s only been a few months. I’m not professing to have any idea of the effect it would take on you after years, we waited just nine months for this little miracle to happen and it already started to test my strength. I felt like everything I should be able to achieve as a woman was not happening. I felt useless and like I was letting Mr M down. We had tried ovulation tests, sticking my legs up the wall etc etc and nothing seemed to be working. So, fast forward to December, and I had a really important appointment on the Wednesday. On the Saturday before, I had a really weird dream that I had arrived at the appointment and they told me I was pregnant, so they couldn’t see me. The dream played on my mind and I told Mr M about it the next day. He said he didn’t think I was pregnant and not to worry. On the Monday morning, I got home from the stables and thought, I’ll do a test just to put it out of my mind. At that point, I was 95% sure I wasn’t, so I peed on my stick, and pottered off to make a cup of tea before I got in the shower. Back in the bathroom, I glanced at the stick and had to double take. It clearly had a cross on it. I was pregnant. I immediately picked up my phone to call Mr M, but before I dialled, I realised that this wasn’t the sort of news I should deliver over the phone, while we were both going to be apart all day. I wanted to see his reaction, to be able to celebrate with him and to have a big hug when I told him. So I waited. From 8am until 6.30pm. Longest. Day. Of. My. Life. He guessed straight away and when I told him, he just kept saying ‘really?’ ‘really?’ with the biggest smile on his face. He was in total shock! We went out for a drink to celebrate (OJ for me, don’t panic.) And Mr M couldn’t take it in. 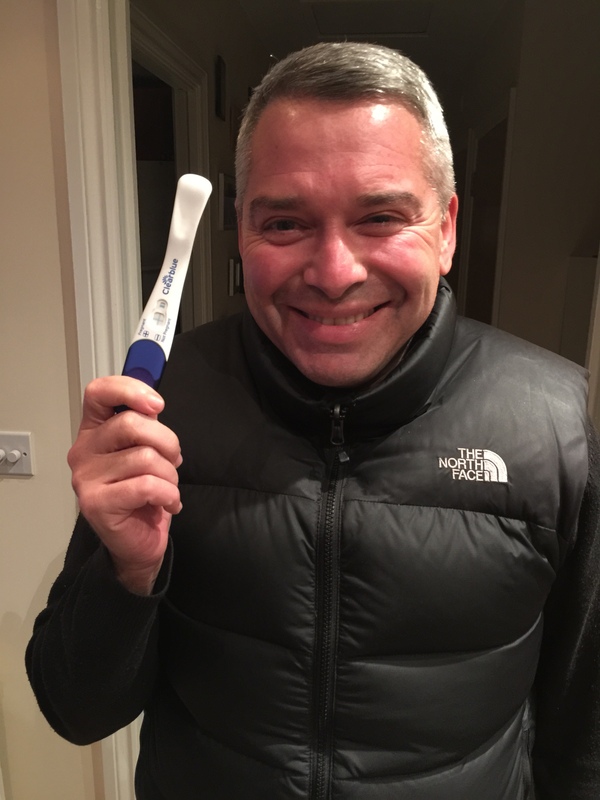 He kept going really quiet and just saying ‘I can’t believe it.’ He was over the moon. I don’t think the reality really kicks in for some time. As we’d been trying for a while, we hadn’t really been expecting it, so it was a total shock. I still don’t think it has sunk in that we are going to be mum and dad. Does it sink in until you see that little one for the first time?